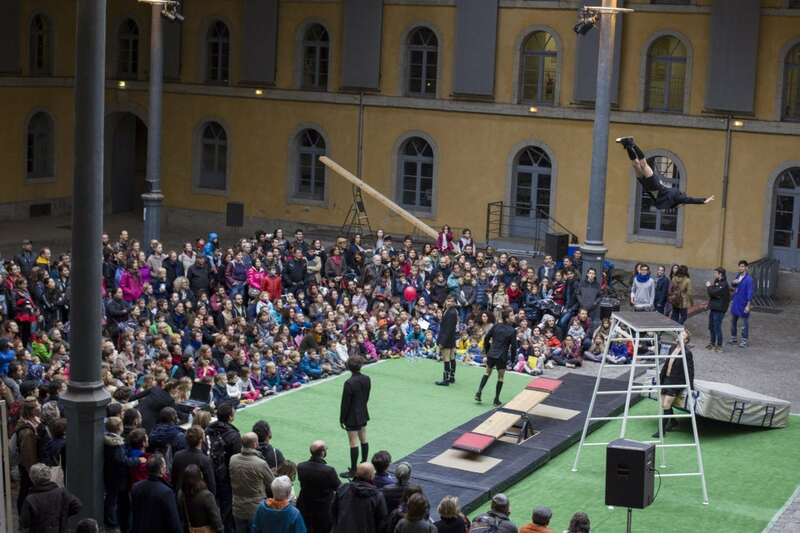 Les Subsistances is a laboratory for contemporary stage arts and an artistic platform that brings together Lyon’s diverse innovative cultural energies. Les Subsistances is many things and takes many—even hybrid—forms. What unites our myriad endeavors is our ability to provide support to project sponsors, whether they are artists themselves, or entities working in the culture sector. Les Subsistances hosts artists in residence, offers the public access to multiple points of view on the contemporary stage, and provides support and mediation for all audiences in innovative ways. Our purposely popular and demanding programming reflects all contemporary art forms. This keeps us open to changes and trends in the circus, dance, and theater arts, especially because we focus specifically on supporting upcoming artists. Specializing in hybrid and pluridisciplinary art forms, Les Substances provides all audiences with experiences that are always new, in innovative support and mediation settings with complete equality among genres. Les Subsistances works to create synergy among the area’s various cultural innovation efforts. Our attachment to innovation of all kinds is evidenced by our cooperative spirit and willingness to share the tool we’ve been entrusted with. We work with and support other project sponsors by sharing our cultural engineering know-how. The studios of the Peuple de l’Herbe are also install on the site as well as, since 2007, l’École Nationale supérieure des Beaux-Arts de Lyon and a restaurant.